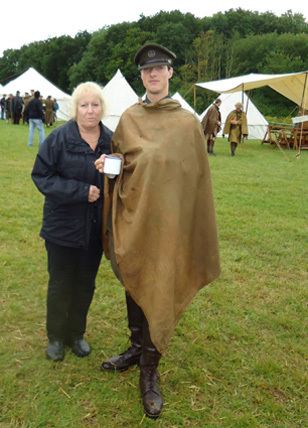 For the last two years we’ve been to the Festival of History at Kelmarsh Hall in Northamptonshire run over one weekend each July. It’s a great place to visit if you’re passionate about history. There you can see the whole spectrum of history in England over the last 2000 years from the Romans to WW2. We held our breath as knights on horses thundered past and lances clash in a thrilling medieval joust. Then we were transported back to WWI with the walk through trench experience which was probably the best thing there. The final event was a dramatic battle from WW2 also involving an aerial display of original Spitfire and Messerschmitt 109 as they took to the skies above the fields. Along the way we met many people from history and despite the down pour thoroughly enjoyed the day. Unless you’re Doctor Who and have a TARDIS where else can you travel back in time and actually meet real people? Jodie wants us to participate and join a club but we cannot decide on the time period. I’m a 17th Century man (hero is Isaac Newton) but Jodie is more medieval (14th Century) – see her wedding dress to understand why. 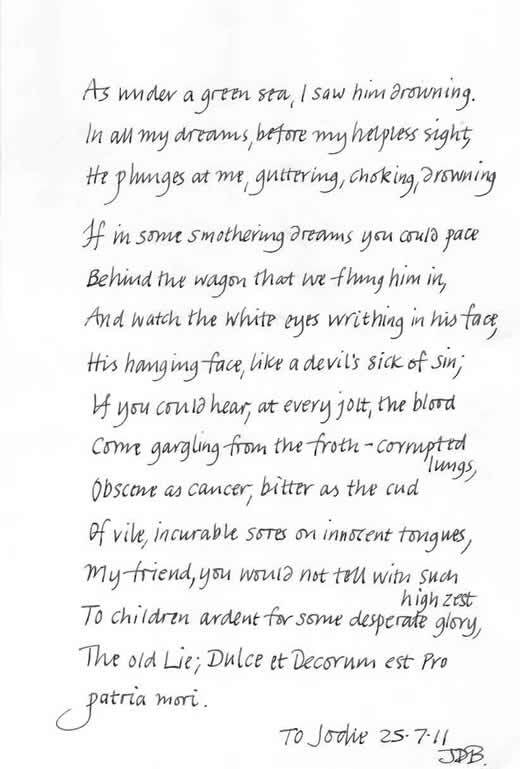 I remember my old English teacher, Marshall Coombs, reading a poem from Wilfred Owen (1893 -1918) about war and the pity of war. 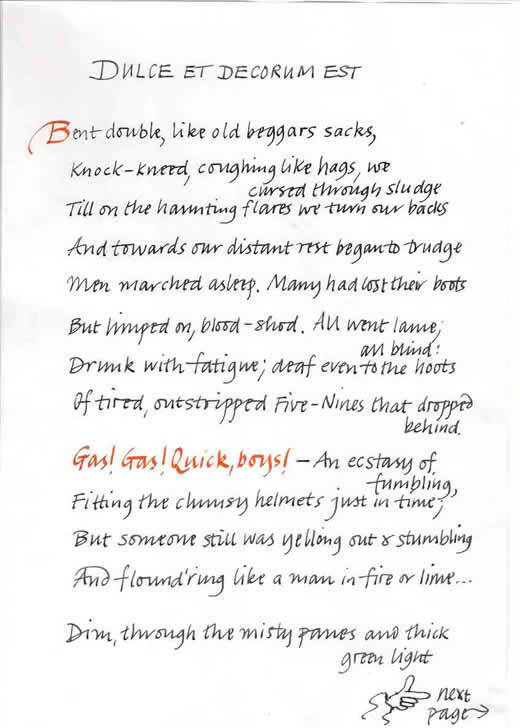 The poem was called Dulce Et Decorum Est. This would be around 1970 just before I took my O level English.